Handcrafted Beauty’s 1st ever Lemon Set for those that love the fresh, citrus scent of lemon and are looking for both anti-aging benefits and improved skin clarity. This exclusive set is only available during our Erase Paste launches that happen a few times each year. Supplies are very limited. 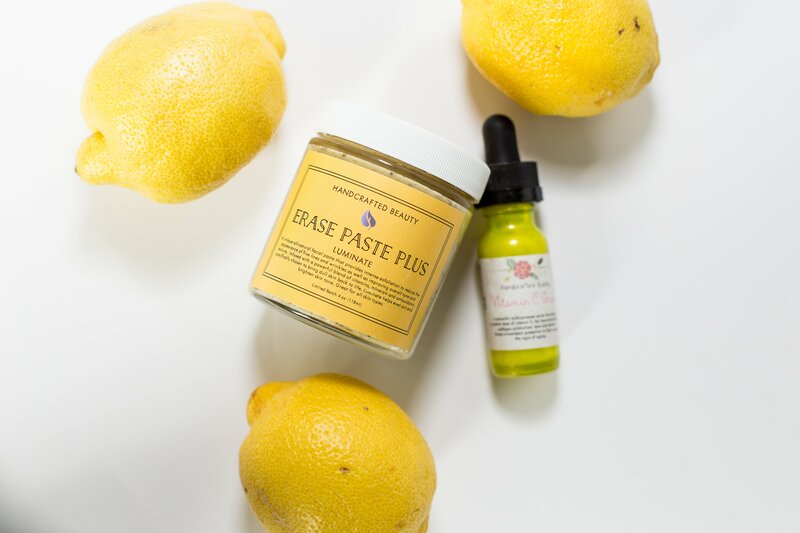 Handcrafted Beauty is offering a full size Vitamin C Serum and Erase Paste Plus: Luminate at a discounted price. These products are a nice compliment to any skincare regimen. The set is designed for all skin types and sure to deliver undeniable results. The Erase Paste Luminate is everything and more you love about the original. We tweaked the formula slightly and added a couple powerhouse ingredients, including lemon powder, lemon essential oil, and blueberry seeds.